Who's your favorite character that was introduced in the film? Do you like the Farmer? 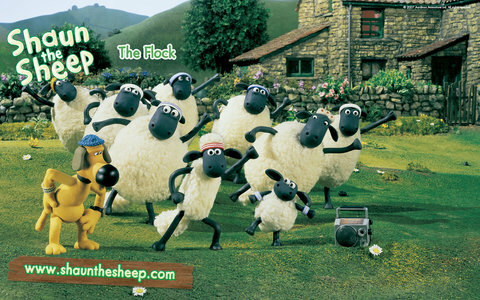 Who's your favorite character in the Shaun the Sheep film? Shaun the Sheep is a 2015 animated film. It has gotten wonderful reviews and is loved by both adults and kids. Shaun is sick of following the farmer's busy schedule so he tries to make the farmer take a day off, but the farmer crash lands to a city. Shaun, Bitzer, and the other sheep try to find the farmer, but a villainous human named Trumper is after them. Also the farmer lost his memory and got a new job. Get the latest and cutest Shaun the Sheep merchandise including cuddly Shaun and Timmy toys. What is the name of the theme tune of Shaun the Sheep? Shaun the Sheep has been nominated for BAFTA's Best Animation Award!! !